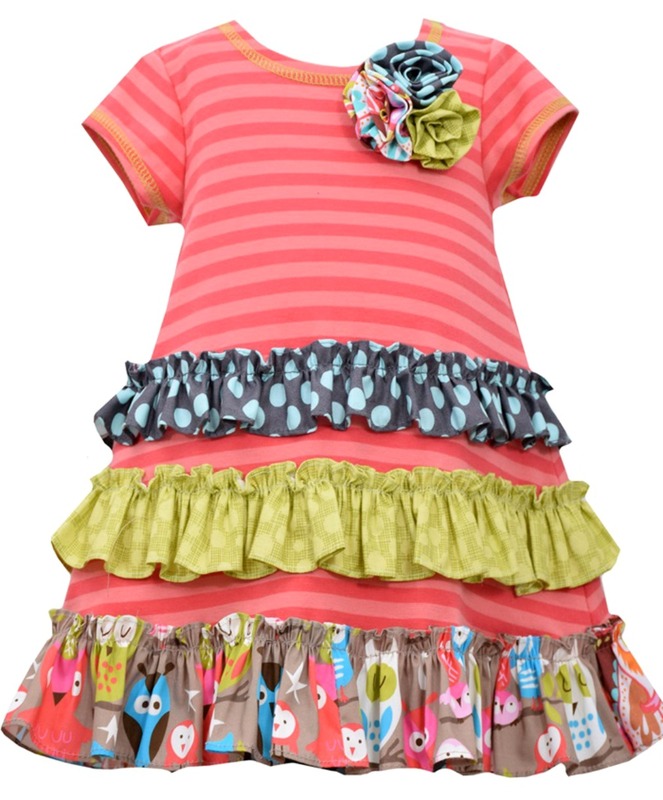 Cute and fun short sleeved coral striped knit dress from Bonnie Jean features mixed print woven ruffles and attached woven flower at neckline. Machine wash knit cotton with woven cotton ruffles and flower. Imported.